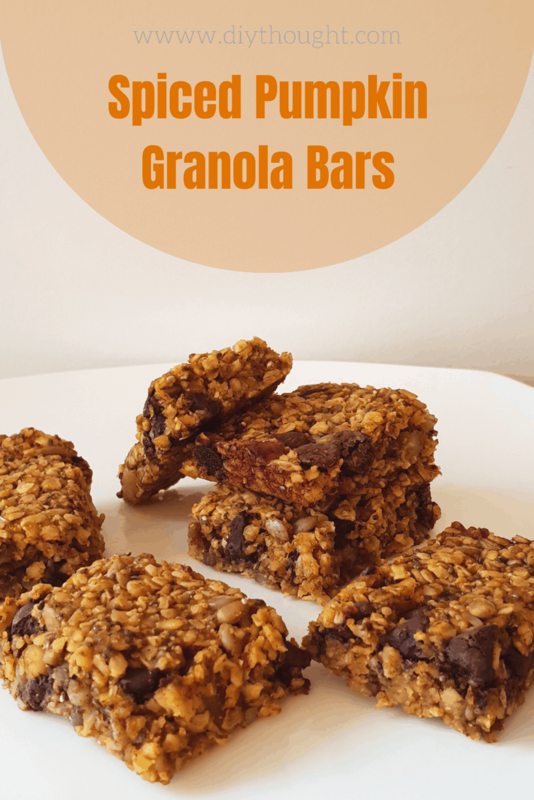 These spiced pumpkin & chocolate granola bars are soft, chewy and not overly sweet making them an ideal snack food or even a breakfast treat. Packed with puree pumpkin, oats, seeds and nuts they are a great way to sneak some goodies into kids tummies. When I announced that we were making pumpkin granola bars both of my girls looked quite horrified. 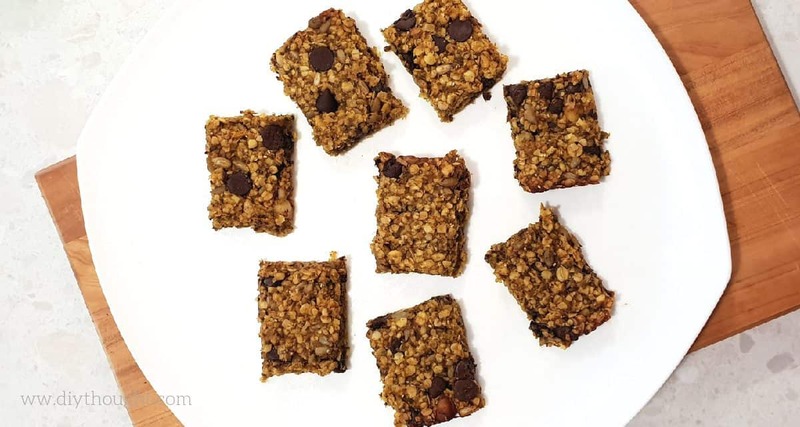 Where we live pumpkin is commonly roasted and made into savory dishes so it is easy to understand why they were shocked and slightly disgusted at the thought of adding an unliked vegetable into a sweet granola bar. I am happy to report that these bars didn’t last long. Miss 4 and Miss 6 both gave them 2 big thumbs up! 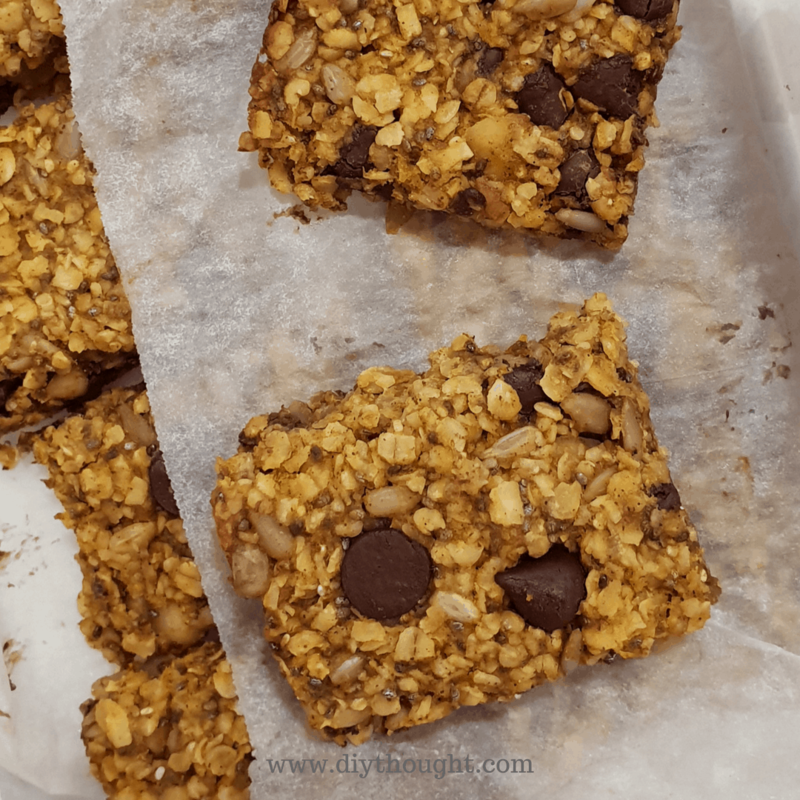 I use lightly salted macadamia nuts in this recipe so if you have unsalted ones add a pinch or two of salt to the recipe. Personally, I love the combination of macadamia nuts and chocolate but if you don’t like macadamia nuts they can be swapped out for another nut of choice. Likewise, if you don’t like sunflower seeds pumpkin seeds would make a nice alternative. Or go for all nuts or all seeds, the choice is up to you! 1/4 cup chopped macadamia nuts, I use lightly salted ones. NOTE: Pumpkin Pie Spice can be used in the place of the other spices, cinnamon, ginger, and nutmeg. Pre-heat your oven to 350 ºF or 180 °C. Grease and line a 10×7″ biscuit slice tray or 8×8″ square cake tin or a similar size pan with parchment paper making sure that the paper comes about the pan on one side for easy removal. In a large bowl, mix together oats, chopped macadamia nuts, sunflower seeds, chia seeds, and spices. In a smaller bowl, whisk together pumpkin, coconut oil, honey, and vanilla extract. Pour wet ingredients into dry, and mix until dry ingredients are completely incorporated. Slowly fold in chocolate chips. Spoon granola mixture into the prepared pan. Press down firmly with the back of a spoon. Bake for 20 minutes. Remove from the oven and cool for at least 10 minutes. Once cooled, carefully remove the entire mixture by lifting the sides of the parchment paper. Cut into squares. 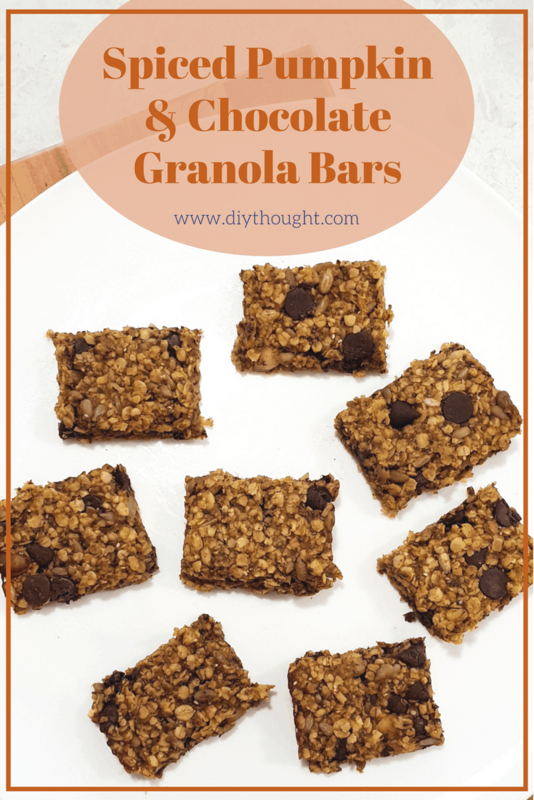 These can be stored in an airtight container for 3 days, or in the fridge for 1 week. 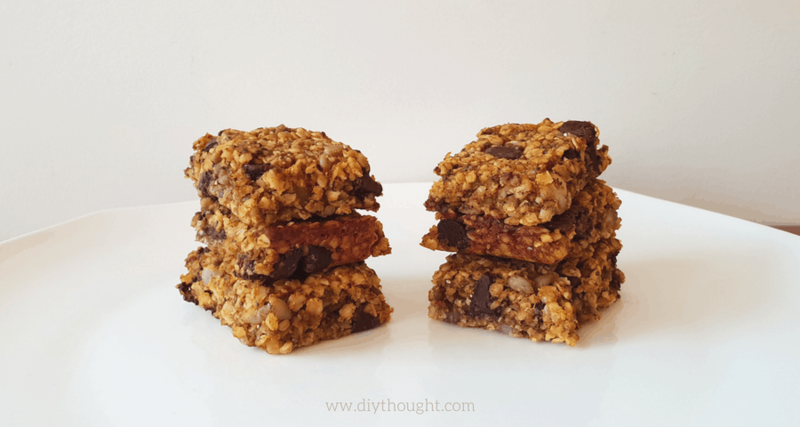 I hope you enjoy these Spiced Pumpkin & Chocolate Granola Bars! 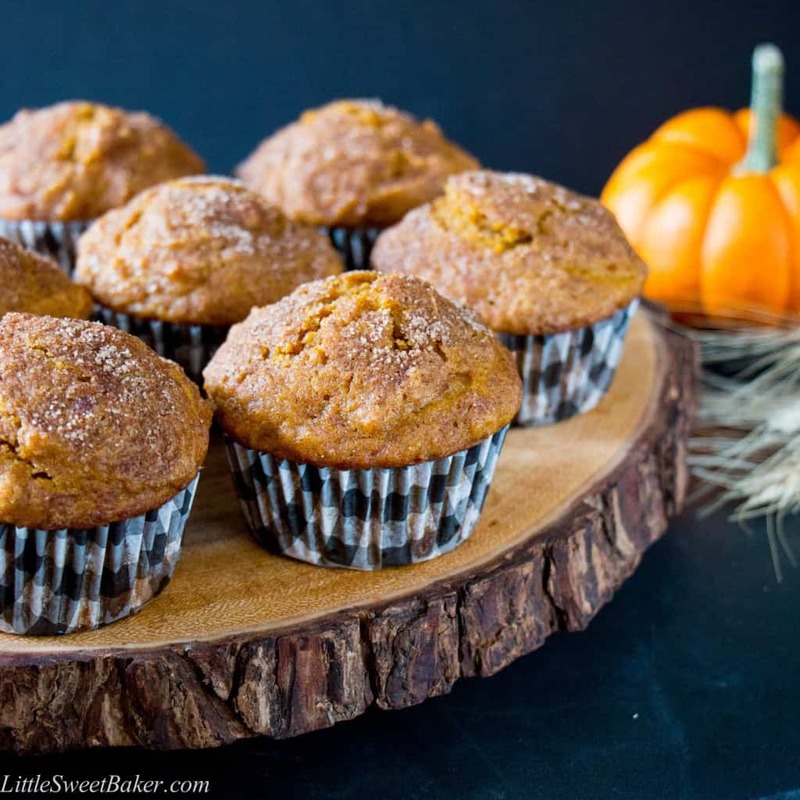 If you are after more sweet pumpkin treats then you have to try these amazing Cinamon Sugar Pumpkin Muffins from Little Sweet Baker. Honestly, they are incredible! Next Article Make Your Own Toy Sailboat!